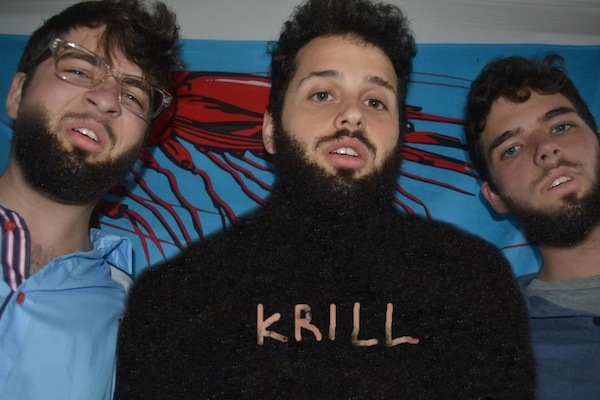 Massachusetts indie rock trio Krill released their album, Lucky Leaves, in July, but already they’re prepping a brand new EP. Due out February 11th via Exploding in Sound, Steve Hears Pile In Malden and Bursts Into Tears picks up where Lucky left off, a raw rock outing reminiscent of a more rambunctious strain of Modest Mouse or Built To Spill. Our first taste of the collection comes courtesy of its title track, an exuberant and awesomely disjointed two-minute affair, affixed with enough exhaustive yelps and spiky riffs to tear a hole through your speakers. Listen in below (via Stereogum).